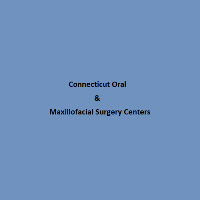 Connecticut Oral & Maxillofacial Surgery Centers Dental Implants Dental implants are changing the way people live. They are designed to provide a foundation for replacement teeth that look, feel, and function like natural teeth. The person who has lost teeth regains the ability to eat virtually anything, knowing that teeth appear natural and that facial contours will be preserved. Patients with dental implants can smile with confidence. Read More about Dental Implants. Wisdom Teeth Wisdom teeth are the last teeth to erupt within the mouth. When they align properly and gum tissue is healthy, wisdom teeth do not have to be removed. Unfortunately, this does not generally happen. These poorly positioned impacted teeth can cause many problems. When they are partially erupted, the opening around the teeth allows bacteria to grow and will eventually cause an infection. The pressure from the erupting wisdom teeth may move other teeth and disrupt the alignment of teeth. The most serious problem occurs when tumors or cysts form around the impacted wisdom teeth. Early removal is recommended to avoid such future problems and to decrease the surgical risk involved with the procedure. Read More about Wisdom Teeth Removal. Oral Surgery Oral and maxillofacial surgery requires additional years of hospital-based surgical and anesthesia training after graduation from dental school. As oral and maxillofacial surgeons, the doctors manage a wide variety of problems relating to the mouth, teeth and facial regions. Our doctors practice a full scope of oral and maxillofacial surgery with expertise ranging from dental implant surgery and wisdom tooth removal to corrective jaw surgery. This also includes techniques designed to rebuild bone structure with minimal surgical intervention and optimal patient comfort. We can also diagnose and treat facial pain, facial injuries, and fractures.